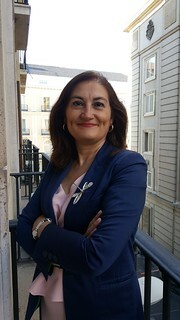 Maria Jose Garde serves in the Ministry of Finance and Public Administration in Spain as Deputy Director General for International Taxation. She has developed her expertise during the past fifteen years in the international taxation and tax policy areas, as the design of the policy regarding the tax system for non-residents, as well as for the proposal and interpretation of general tax rules. She is also responsible for the negotiation and implementation of tax treaties and exchange of information agreements, and for the work done within the OECD and the EU in taxation matters. She has also been the responsible for International Exchange of Information on request at the Spanish Competent Authority for Exchange of Information. Likewise, during these years she has attended plentiful OECD and EU meetings. Nowadays, she is a member of the bureau at the CFA and the Spanish delegate at the Steering group since 2014.